That’s an easy one for me. I just put in my noise-cancelling earphones and choose something from here. Or maybe from the 900 or so concert downloads that I’ve accumulated over the almost twenty five years since the bus came by and I got on. Weekly Photo Challenge: Happy Place. ← How does that look? Since the bus came by and you hopped on? Fabulous !!!! 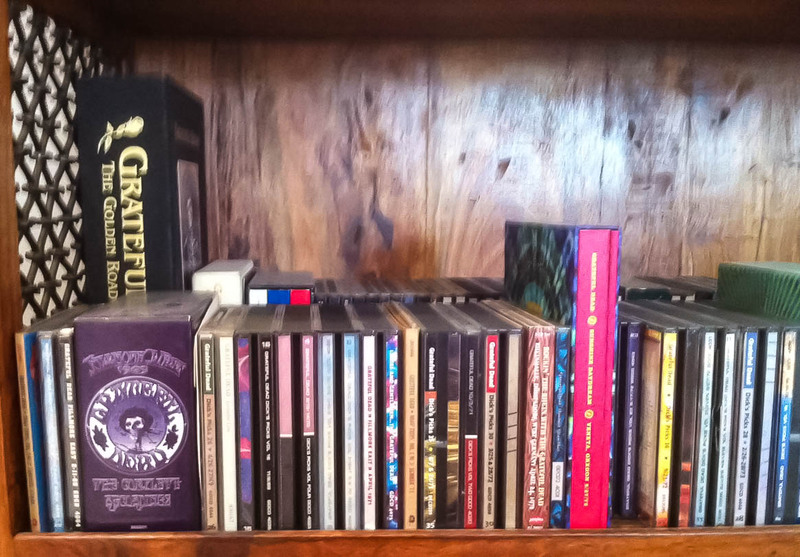 CDs, not books. Got a whole shelf of Dead books upstairs.